Uber prolific DIY musician, dj, producer, etc. 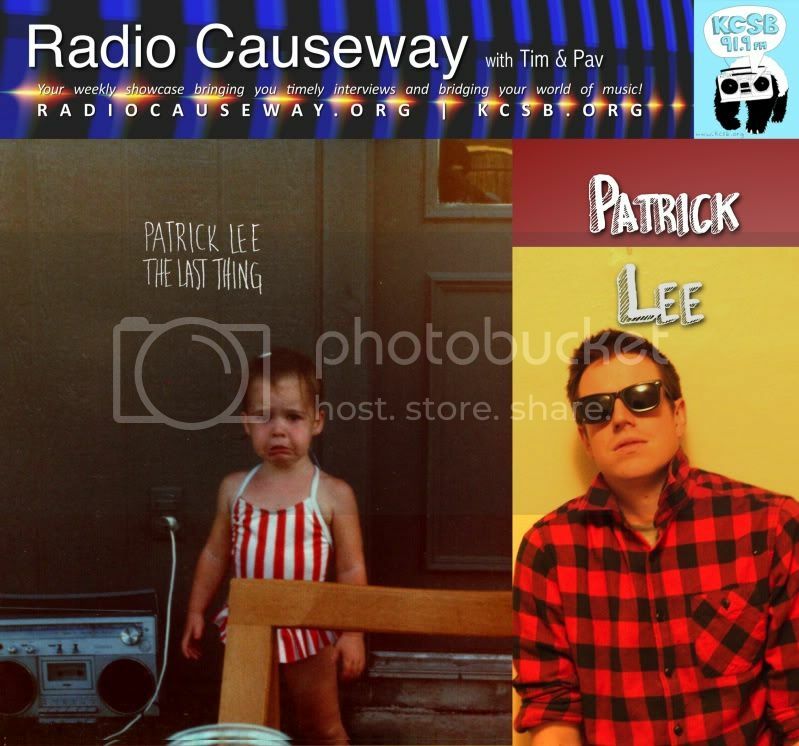 Patrick Lee chats with Radio Causeway about his latest releases The Last Thing (2010) and Passerine (2011). Among his twenty plus releases since 1998, Patrick Lee also frequently releases mix tapes, his last being Year of the Tiger! in December 2010. Patrick owns his own music label (Twelve Tusk Records) which puts out his solo projects as well as his side projects, Beauty Flash and The Beebs. Patrick says, "I guess I would like my work to sound like Four Tet and Pete Rock getting into a late-night r&b brawl with a bag of Beastie Boys instrumentals, but see for yourself." This week's Yeah! Free Music! pick of the week is Kojotl Beat from Parisian psychedelic noise trio, Feu Machin. Listen Live Tuesdays from 9-10AM pst on KCSB.ORG | KCSB-FM 91.9 in Santa Barbara.